UKPaintball has 2 premier paintball parks in Northumberland. Our Paintball Northumberland Parks both offer great transport links so that getting to your paintball day couldn't be easier. Northumberland boasts some great countryside and the Newcastle venue utilizes the best of it in some of its exciting paintball scenarios. 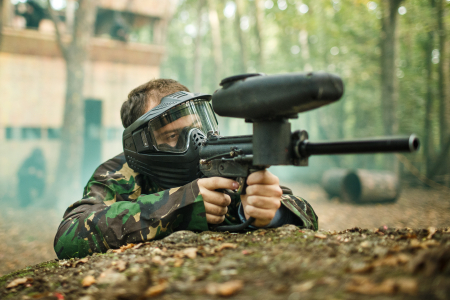 The Stockton venue can be a better location for some and also offers great paintball facilities to all its customers. Both sites have brilliant new paintball makers to ensure you have a hassle free day at either site in Northumberland.